We all want to encourage pollinators to populate our gardens. After all, without those pollinating insects, we don’t have flowers or produce! And so, to draw beneficial insects to our yards, we tend to use plants like bee balm. But what is it, exactly? It’s a part of the mint family (Lamiaceae), and an awful lot of people grow it… does that mean it’s a mint? Does it do anything more than just look pretty? Common Name(s) Bee balm, eastern beebalm, Bradbury’s beebalm, lemon beebalm, etc. Pests Stalk borers, spider mites, thrips. 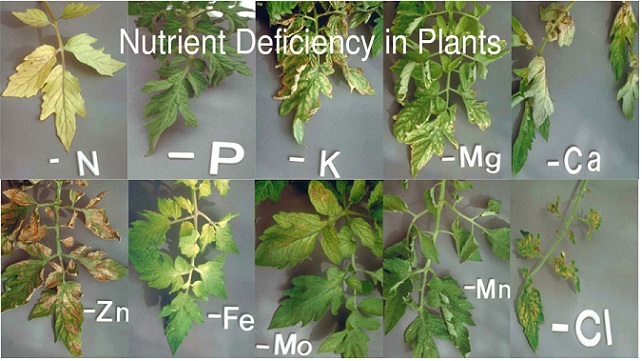 Also is susceptible to powdery mildew and root rot in the right conditions. There are many different varieties of the Monarda species, and about 50 commercial cultivars commonly available. But an awful lot of bee balm varieties are naturally-growing wildflowers in the United States. Let’s look at a short list of some of the types and the differences between them. This perennial variety has a lower cushion of rich green foliage, with lightly-toothed edges along oval leaves. Rising above, the flower stems tinge towards purple, and culminate in a lavender to light purple flower. The flowers produce large amounts of nectar, which draws a variety of wildlife from bumblebees to hummingbirds. It’s native to the central and southeast United States. An annual, lemon bee balm is often found as a wildflower in much of the United States and into Mexico, but is also widely cultivated. This monarda does not look anything like Bradbury’s, in that it has long spear-like or grassy leaves and a much more compact plant base. The stem rises from the center of the plant and has multiple purple or purplish-pink florets stacked atop it. 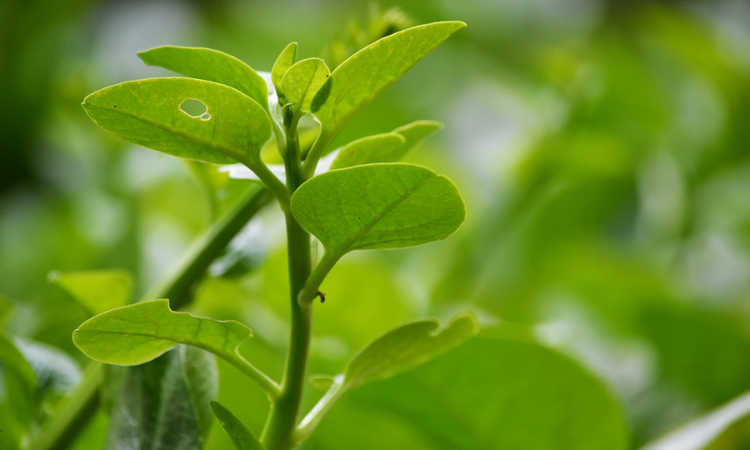 The lemon part of its name refers to the lemony scent that new leaves have when crushed, caused by naturally-forming citronellol, and it’s commonly used as an insect repellent in gardens because of that aroma. However, it should not be confused with the other plant commonly known as “lemon mint”, despite sharing the name. 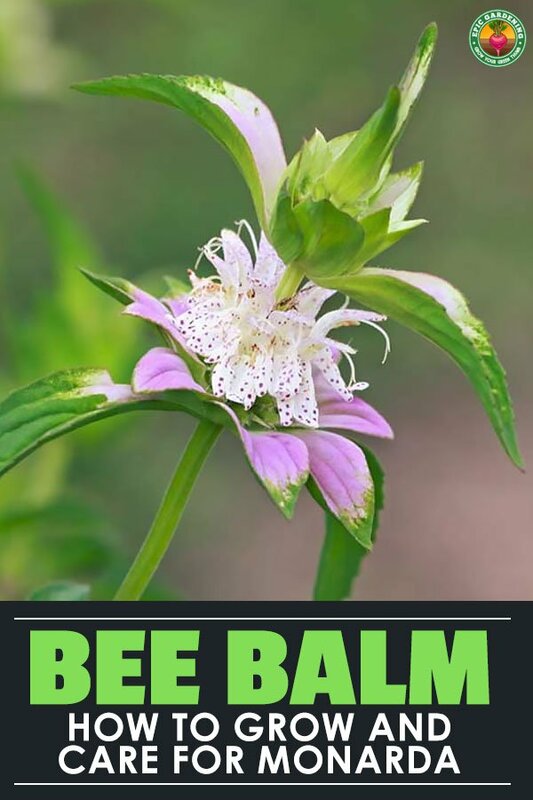 The annual known as basil bee balm is a native of Kansas, Oklahoma, Texas and Louisiana. This plant is a bit woody, with long slender leaves on the flower stalks mixed with slightly oblong leaves at the plant’s base. The flower stalk supports multiple florets of pale purple bee balm flowers stacked neatly in a conical form. This popular ornamental plant is a perennial. Native to the eastern United States, it is widely naturalized throughout the rest of the US and in parts of Europe and Asia. Showy tubular flowers in inflorescences of about 30 around a central bract rest at the tip of a vibrant green stem, surrounded by lush green leaves. There are many different cultivars which produce colors of medium to dark red, white, purple and pink flowers. 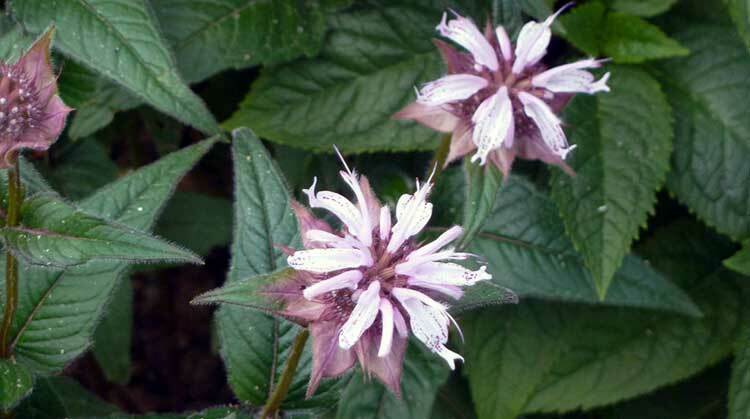 But the term bergamot is misleading, as no monarda is a true “bergamot” of the type used to scent teas. A wild perennial, the wild bergamot produces showy lavender or pink blossoms throughout the summer months. Each flower cluster on its branch can produce between 20-50 flowers, and rests over brilliant green herbaceous foliage. There are multiple varieties of this plant, many of which have slightly different odors. In fact, Native American tribal people recognized at least four separate variations for their scents, each indicating different uses for the plant. Typically found in swampier environments such as riverbeds, this perennial has lance-shaped leaves and square stalks. At the top of the stalk forms a large inflorescence in a reddish-purple hue, made up of many smaller flowers around a seed head. While it is not a true bergamot any more than Monarda fistulosa or Mondarda didyma, it has a similar aroma to the bergamot orange used for scenting commercial teas. It is common throughout the eastern United States and into Canada. 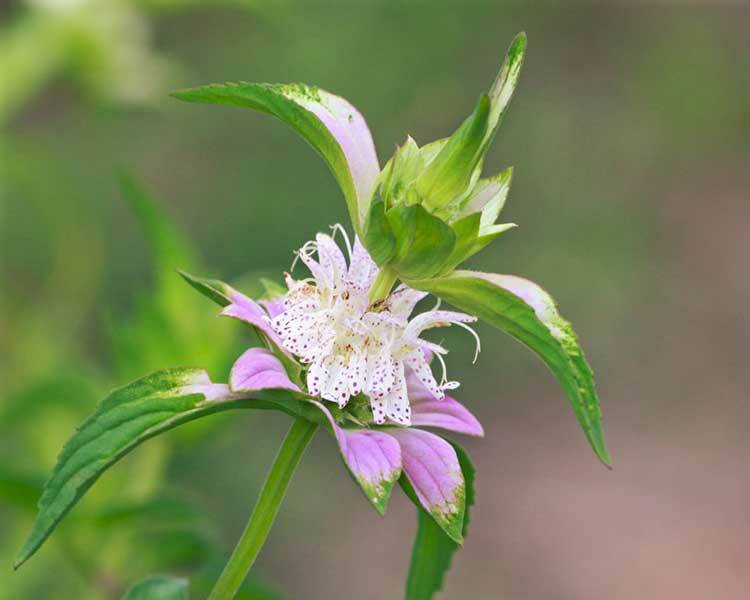 The spotted bee balm can be either an annual or a perennial depending on its environment. It seems to favor sandy soils with good drainage. The flower heads are stacks of flowers, each with its own bract, and are yellow with purple spots and occasionally purple petal-tips. The foliage is slender-leaved and bright green in hue. Monarda punctata is a major draw for beneficial bugs, especially beneficial predatory wasps. It has a thyme-like aroma. It’s easy to grow, as it’s a very forgiving plant. You’ll want to pick a location with good growing conditions: ample light, well-draining soil, and if you’re growing it to encourage beneficial insects or hummingbirds to visit your yard to pollinate or to help wipe out pests, you’ll want to place it near your food plants. But let’s look a little closer at what the optimal conditions to grow bee balm are. It’s a full sun plant, so in much of the United States, you can plant it in full sun to promote blooming. In hotter areas of the south or southwestern US, a little afternoon shade will help the flowering season to last a bit longer and will protect the perennial varieties from the scorching heat of the afternoon. Most varieties are reasonably drought-tolerant, but they do much better with regular watering. Keeping the soil damp but not wet should be adequate. Be sure that the area you plant in does not get soggy during the winter months and stays well-draining so you do not drown your perennial varieties! An exception to this is Monarda media, which likes more moisture, but even then it does need room for the roots to breathe as well. Monardas don’t always like overly wet soil, so it’s important that your soil is able to drain off any excess water. 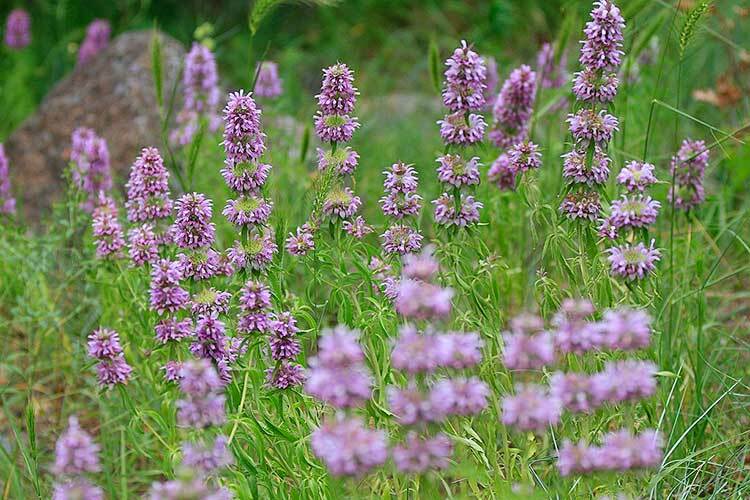 The wild forms of this plant are not at all picky in terms of soil fertility, and are known to grow in anything from sandy soils to potting mix. Commercial cultivars like slightly richer soil, likely because of years of propagation in better quality soils. The pH of your soil should ideally range between 6.0 and 6.7 for best growth, and I like to add some compost to the bed to give the soil extra nutrient value before planting. There are two common fertilization techniques. A nice layer of top-dressed compost in the spring followed by a couple inches of mulch will offer plenty of plant nutrition along with some weed prevention. Alternately, you can use a general-purpose organic fertilizer, either a slow-release granular form dug into the soil or a liquid formula. Either of these options should keep it well-fed. Bee balm often forms a rather dense root ball in pots. When repotting, it is often a good idea to divide the plant to ensure that it doesn’t get too rootbound. Start out by loosening the soil around the roots, and then gently working a shovel beneath the root ball. Pry it upward carefully until you can free the plant from its pot. If you are going to divide the plant, shake it gently and brush off as much loose soil as possible without harming the plant. Once you’re able to see the individual roots, cut through the thicker roots with a pair of pruning shears, and then gently pry the two segments apart to maintain the smaller roots. You want to make certain that every division has plenty of root mass to regrow from. When you have the plants divided down to the size you desire, inspect the roots, trimming off any which appear slimy or partially-rotten. Similarly, trim off any weak or broken stems from the plant. Work quickly so that the roots do not dry out, and immediately replant in new pots or garden beds once you’ve got your plants prepared. While you can divide bee balm as mentioned above in the repotting segment, it can also be grown from cuttings or from seeds. If propagating from cuttings, select new spring growth from the tips of the stems, cutting them at least six inches long and just below a set of leaves. Place your cut stems into a small pot which is filled with perlite, peat moss, vermiculite, or a blend of any of these options. Water them well and set them inside a plastic bag to help retain some moisture. Once they have taken root, remove the plastic bag and repot your cuttings in potting soil and place in a sunny window or greenhouse until you are ready to replant elsewhere. If you are growing from seed, first make sure your bee balm seed is not from a hybrid cultivar, as they often do not breed true. Plant your seeds in the very early spring when the soil is still cool and there is still a chance of light frost. When your seedling plants have formed at least two sets of true leaves, you can then thin them down to 18-24″ apart or transplant them to space them out as needed. You can save seeds from your plants, although if it’s a hybrid, it likely will not breed true. Generally, the seeds are ready for harvest one to three weeks after the flowers have bloomed. Carefully place a paper bag at the base of your plant, and then gently bend a stalk over the bag and tap it. If brown seeds fall into the bag, the seed is ready to be collected. Allow the seeds to dry on paper towels in a well-aerated environment for 3-4 days and then place them in an airtight sealed container in the refrigerator until ready to plant them. In the early spring, if you have established plants, it’s good to pinch back their growth when they reach about 12″ tall to encourage lateral spreading. All you have to do is gently pinch off the top set of leaves from each stem. The plant will naturally spread wider before flowering. If you’d like to encourage a longer floral display, stagger out that early pinching over a few weeks. 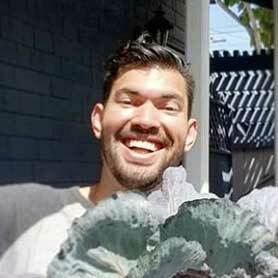 Do about a third of your plants the first week, another third the second, and finally the remainder on the third week. Be sure to spread out the process over your whole garden so that you have even bloom distribution later. If you have a large area of bee balm plants, you can opt to simply prune the entire patch at once with a pair of hand clippers or shears. Once it reaches the 12″ height, you can just evenly trim it to about half its height, which encourages lateral growth as well as more leaf mass. 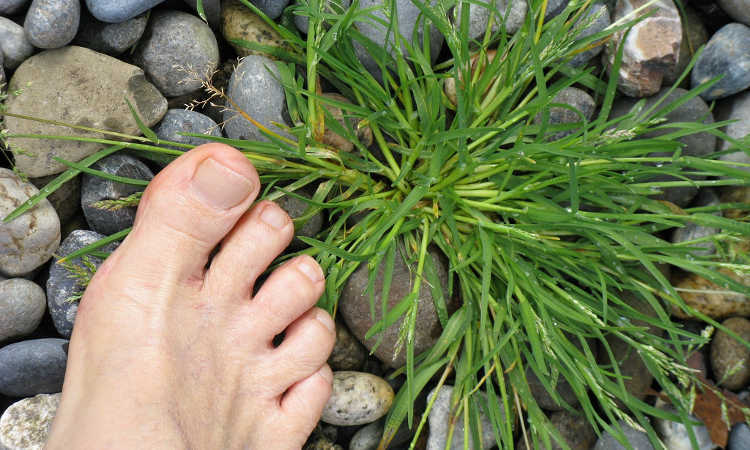 Doing this should discourage your plants from going lanky or weedy in appearance. As your flowers start to fade, you should deadhead bee balm just above the next flower bud to encourage further flowering. Once a stem has finished flowering, trim it back down to the ground or pinch it off. This will encourage the plant to send up another blossoming stem. 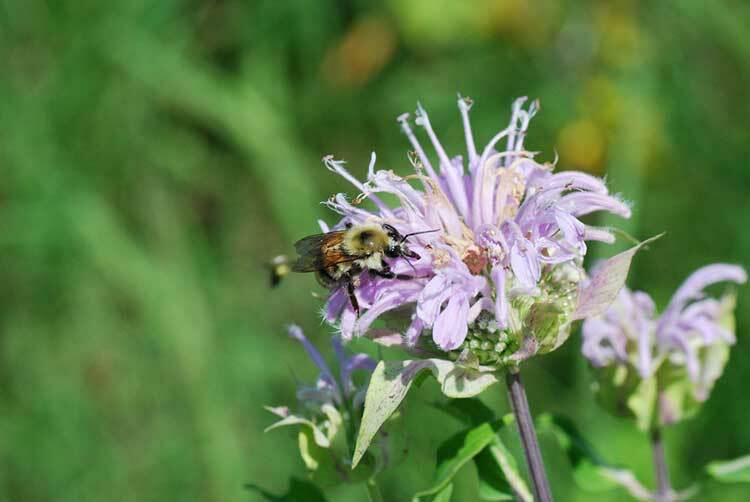 In the fall or winter, you should prune bee balm after it has died back. Take it back down to just above the soil’s surface. This allows you to clean up the dead plant material, and perennial varieties will begin to show signs of new growth in the late winter or early spring again. There are very few problems in growing bee balm. Realistically, it is an incredibly forgiving plant, and it will tolerate a wide variety of situations, soil conditions, sunlight conditions, and weather. However, it is susceptible to a few pests and diseases. It can be susceptible to stalk borers, spider mites, and thrips. Stalk borers do exactly what their name implies, as the larvae tunnel into the stalk of the plant. If you see a small hole with a yellowish edge in the stem, cut the stalk at least an inch below the hole, and check inside the removed stalk to see if the larva is inside. If it is, destroy that stalk. If the plant begins to wilt before you have caught the stalk borer and removed it, it is likely going to die. Spider mites cause yellowish spots on leaves by sucking out the plant juices. There will also be super-fine webbing on the plants themselves. To combat these, use insecticidal soaps or horticultural oils like neem oil to eliminate the spider mites. Thrips do similar damage to what spider mites inflict, except they do not build webbing on the plant surfaces. Neem oil and spinosad can reduce the population significantly. Bee balms are susceptible to powdery mildew. While it’s not always fatal to the plant, it blocks the plant’s ability to take in the sun’s rays and do photosynthesis, so it is best to treat it whenever possible. Allow for good air circulation around your plants, especially if you live in a more humid environment. If necessary, regular applications of neem oil can wipe out powdery mildew. During the colder months of the year, bee balm can be susceptible to root rot if the soil where it’s planted is not well draining. To avoid this, ensure the soil is very well draining beneath your plant. Root rot is not something which can be treated, so be sure to avoid it! Q: Is bee balm edible? A: The vast majority of species can be eaten, yes. Portions of the plant above-ground are edible, and the leaves are often used as a flavoring in cooking, although it may be bitter if used in too large of a quantity. It is often used to season poultry or game fowl. The flower petals make a beautiful edible addition to salads. Q: Can it be used medicinally? 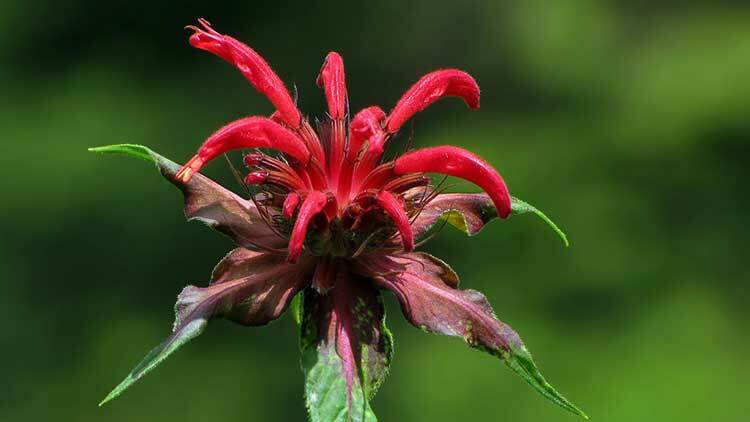 A: Many Native American tribes and early settlers to the United States used bee balm medicinally. The Monarda species contains naturally-forming thymol, which is an antiseptic that’s often used in commercial mouthwashes. This made it quite useful as a poultice on injuries as well as for dental care purposes. It has also been used to help remedy stomach ailments and flatulence, among other things. 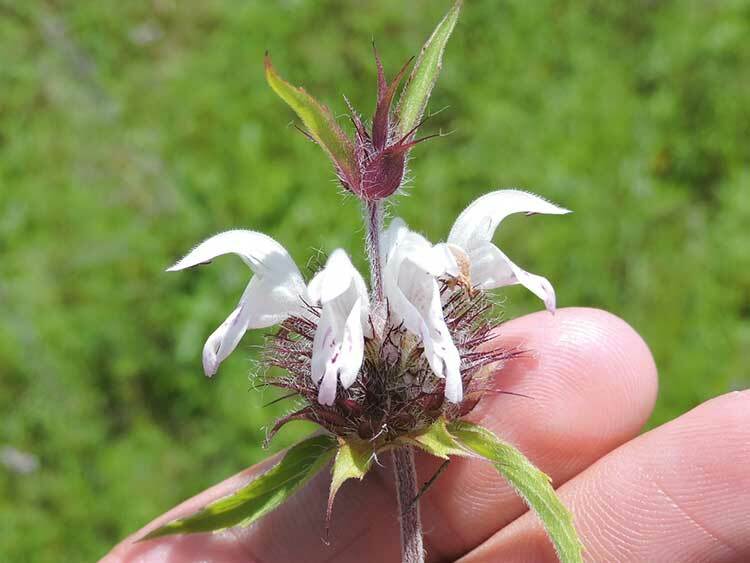 In addition, the subspecies Monarda citriodora has naturally forming citronellol, allowing it to be used as an insect repellent by rubbing the bruised leaves onto one’s skin. 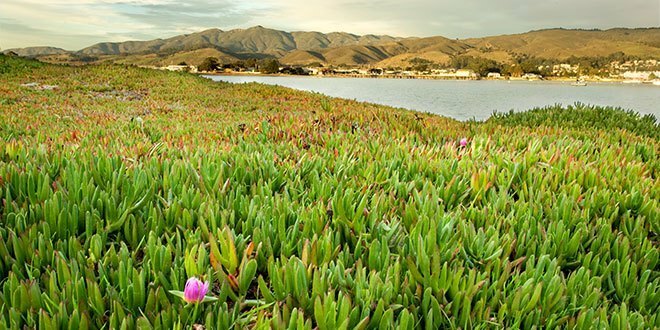 Q: Is it an invasive plant species? A: If you don’t contain it… yes! 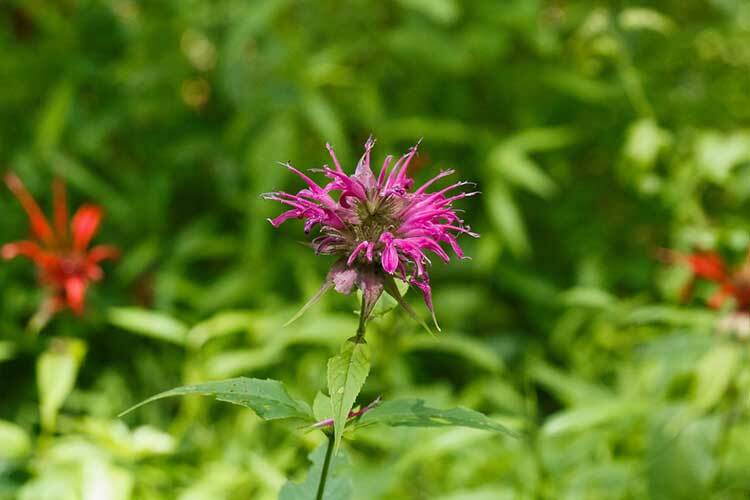 Bee balm is a member of the mint family, and has all the same runner-like properties that mint has. So if you don’t keep it reduced in size, it will gradually spread to take over the space that you have available. Divide off the plant regularly to keep it manageable, keep the runners trimmed, and it won’t take over your entire garden. Q: What companion plants grow well with bee balm? A: If you’d like to lure hummingbirds or a beneficial bug to your yard, planting Western columbine or silver sage with your Monarda will help! When mixed with Joe Pye weed, bee balm can be a surefire lure for butterflies, too. If you’re looking to add color to your herb garden, plant it towards the center or rear of your garden space, as they will be taller than most annual herbs, and try growing thyme, basil, parsley, or chives around it. For a burst of added color against the purple or redder colors of bee balm, try growing daylilies for a bright yellow, or select a nicely contrasting blue by planting agapanthus. And finally, for nice blends of similar-sized plants, growing black-eyed Susans or echinaceas nearby can make your blooms similar in height, but if you want a lower flower beneath these, try a dwarf phlox along the base to add a spark of brightness beneath the larger blossoms. I adopted a crimson beebalm/monarda this year and it produced beautiful flower heads that officially became my new favourite edible flower, tastes so good! Unfortunately I put it in a spot where my dad also had some beans growing up a wall, and his careless watering gave the worst powdery mildew to the plant it just stopped thriving completely. I’m gonna cut it back to the ground now that Fall is here and we shall see if it comes back next year! Then I can take cuttings and add it somewhere else away from my dad’s stuff. I also later picked up a Monarda (Bee-You ‘Bee-Lieve’) hybrid I believe, says it grows compact, with maroon buds that flowers pale pink in summer months. Foliage is fragrant and more resistant to powdery mildew. It’s settling into its new home, I look forward to seeing what this variety produces next year when it blooms. Amazing flower, a must have in any garden!